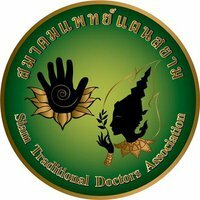 Siam Traditional Doctors Association (STDA) and members have joined hands with Jacqui Grove, trustee of Josie’s Dragonfly and mother of it’s founder, Josie Grove. Josie lost her battle with cancer in 2007 at the age of 16. Josie had the inspiration to create a Dragonfly pendant to raise funds to help children whose treatment was no longer curative. The inspiration for the Dragonfly pendant came from a fable that helped Josie and her siblings understand about dying - The Dragonfly tale. A portion of the profits from the night will go to the Wishing Well foundation. This Thai charity arranges activities for children with life-limiting cancer. During this exciting event Mr Lee Wei-De, President of STDA and founder of Siam Reiki, an energy healing art, (www.siamreiki.com) will connect with the spirit world and channel information from the guides and angels that surround us. Everyone at the event will have the opportunity to have their own private psychic reading from a Siam Reiki Master. STDA is promoting awareness of Natural Healing modalities through public events and conferences. both Josie’s Dragonfly and the Wishing Well Foundation. All profits from the sales of the ticket will go to both charities. Our MC for the night will be Gerry Dibbayawan. Entry price 1,000 baht includes canapes and two free drinks (alcoholic or soft drink). Cash bar is available for further drinks. EVENT : HEALERS AND THE COMMUNITY. The program will start at 1pm with Mr. Lee ( SIAM Traditional Doctor's Association )opening the Event by demonstrating the Siam Traditional Doctors structure and current activities also providing information about the upcoming events and plans. Following will be Integrative Medicine Professionals and Holistic Therapists presenting the benefits related to their therapy. They are skilled professionals presenting collected research data, educational standards locally and internationally. We will get to see what is in Thailand in the ranges of therapies available. They are skilled professionals presenting collected research data, educational standards locally and internationally.